A little over a year ago, on January 29, 2017, I set foot for the first time in what would become my home church. For about six months prior to this, different people from my mom to my hairdresser, and even a pastor on the radio asking his audience (in general) were asking me when I would return to a church for regular attendance. It had been years since I had attended Menlo Park Presbyterian with Colleen on a regular basis, and I knew I’d have to find one someday. That someday became an actual day when my friend Amber asked me and suggested I attend Almaden Hills United Methodist Church. She promised I’d love it, and I knew it was something special when I walked in and this was the first hymn played. It all started with the cards. In 2014 we gave each other the very same Christmas card. 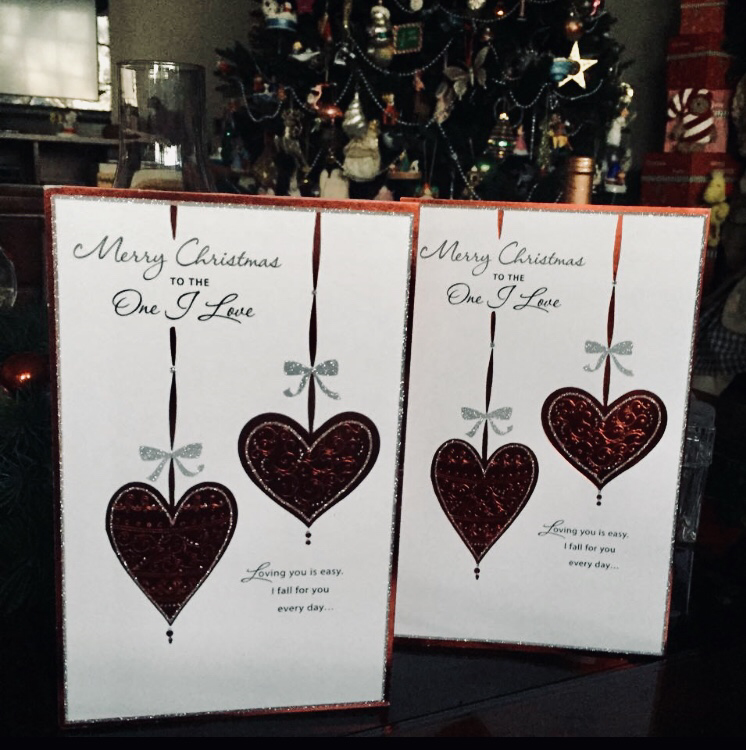 While we both bought them from the same store, the store had had lots of Christmas cards available, so it was amusing, though not a one in a million type of chance thing. A little over four years ago, Matt and I moved in together into the apartment complex where we still live. They have many great amenities and one of my favorites was their office parties. 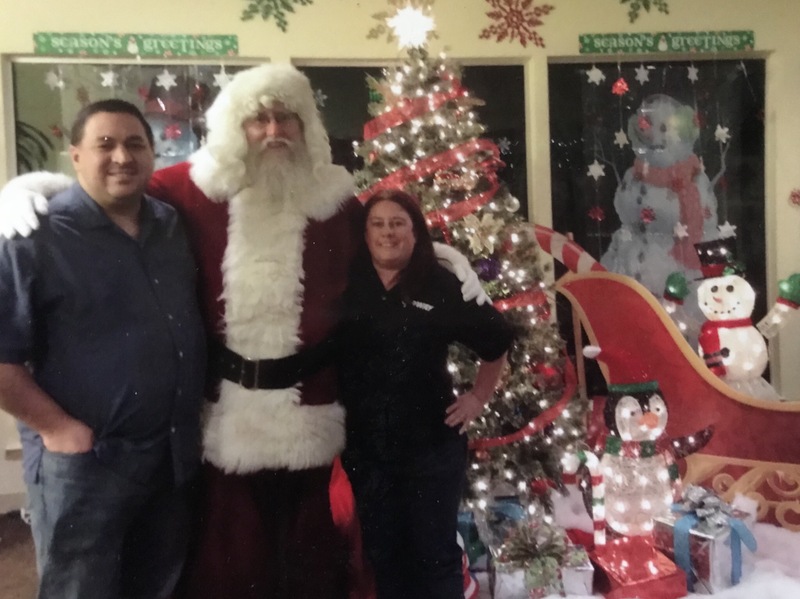 Due to scheduling we had until recently only been to one Christmas party and I still have this photo from it hanging on our refrigerator.